If you come to Melaka, you must visit the red colored building at Bandar Hilir, Melaka. The building is known as Stadthuys and it is one of the famous historical structures in Melaka. It is also a museum. Stadthuys is an old Dutch spelling which means city hall. The building was built in 1950’s by Dutch occupants as the office of their colonization. It has 4 floors and the size of the building is about 49,200 square feet. This building was once the office for the Dutch Governor and Dutch Officers. It was also the administration office in Melaka until 1824. After Melaka was handed over to the British, the building was used by the British as their administration office. There were some structure changes, but the British maintained the overall the design. After the independence of Malaysian, Melaka government used the building until 1979. The original color of the building is white but it was painted red and it became a landmark in Melaka as a reference or direction. It is also known as the Red Square. One of unique room in the building is the Dutch Governor Office. It has wood decoration on the ceiling. There’s also a Chinese mythology arts at the wall on Dutch Governor Room at 4th floor. There were many thing uncovered when the Melaka government did a renovation in 1986. They founded a drainage system on the ground floor. There is also a water well inside the building. 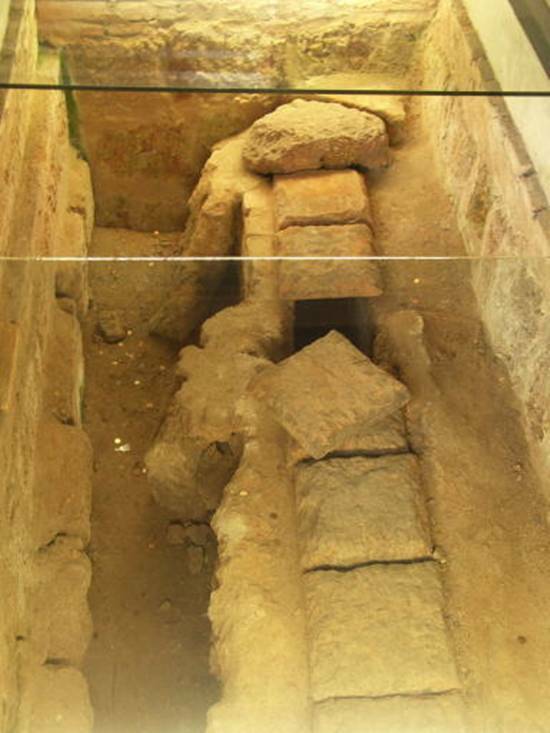 The well was built from laterite rocks that same type of rocks that are being used for Fortaleza De Mallace (Fort Melaka). The well is still there, it is not being used anymore and there’s no water. In architectural aspect, Stadthyus is one of best Dutch building in that era. It also the oldest Dutch building in the East. The building was made by hard wood, laterite rock block, hill rock and others quality material. Clays were used to bind the rocks while lime was used as a plastering material. Stadthuys is situated at Laksamana Road beside the Christ Church and now become Museum of History and Ethnography. History Museum situated at the 1st level of the building. It displays the history of Melaka that was the pillar of Malaysia’s history. 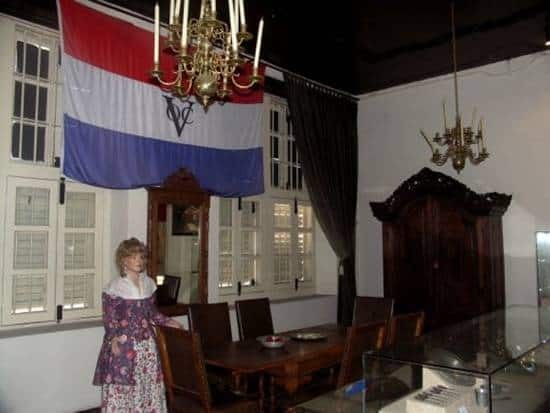 It starts from the opening day of Malacca to the Portuguese colonial era, then Dutch, English, and Japanese until the country gained its independence. Based on paintings and historical artifacts available, visitors will be able to appreciate the superiority of Melaka at the beginning, the struggle for independence and the meaning of modernity. Ethnografi Museum gives special emphasis to the way of life of the local community that consists of different races, the Malay, Chinese, Indian, Nyonya Baba, Chetti and Portuguese. An overview on the wedding ceremony, everyday ways of life, equipments, musical instruments of choice and cultivated forms of agriculture is the main focus of this museum. Also on display is a collection of porcelain ages, different types of weapons, currency from within and outside the country and various collections during the Dutch occupation. For those who own MyKad, 50% discount will be given. Visit Malacca and learn more about history at Stadthuys.